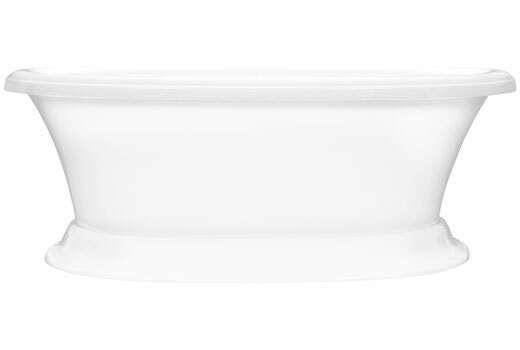 Jetted Freestanding Dual Ended Pedestal Tub | Carrington 6638CF W13AIR6638F (Formerly Serenity 13) | 66" X 38" x 26"
66" x 38" x 26"
The Carrington 6638CF Air Bath, formerly the Formerly the Serenity 13 Air Bath, is a scaled down version of our Carrington 7240CF, 6 foot, Dual Ended, Freestanding Pedestal Tub. 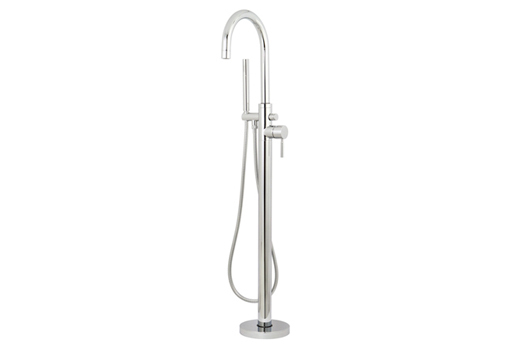 The Carrington 6638CF measures 66" x 38" x 26" and comes in White or Biscuit (at no additional cost). The blower for the air bath can be located up to 25' away from the tub and comes with a wall-mounted keypad as well as a remote control. 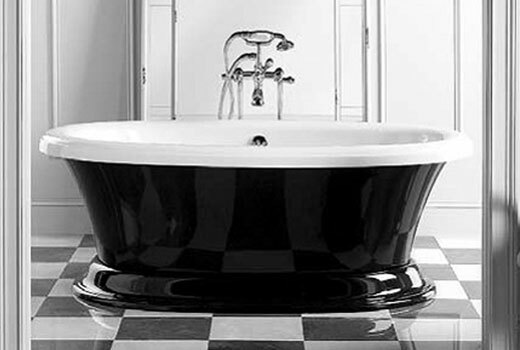 This gorgeous jetted double ended pedestal tub has the extra deep bathing well and a slip resistant floor. 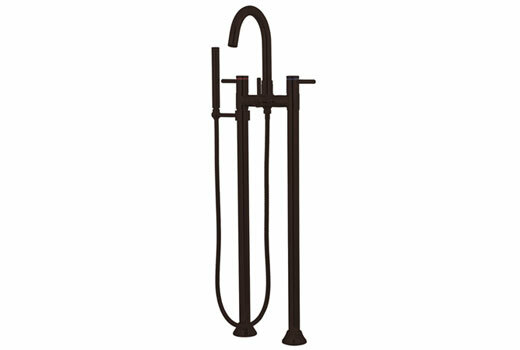 Our Carrington 6638CF works well with a wall-mount or free-standing tub faucet. 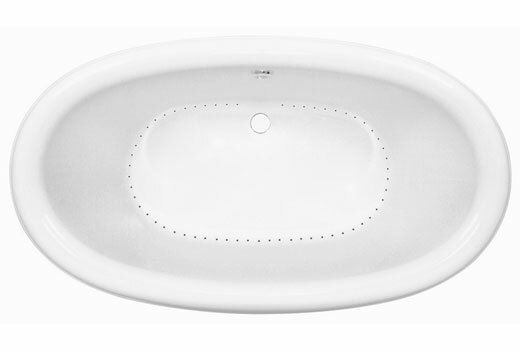 Faucet holes cannot be drilled on the rim of this bathtub. 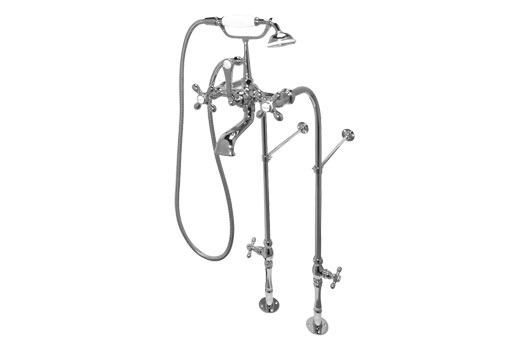 See also, the Carrington 6638cf Soaker. Our Old World Bronze finish is similar to Oil Rubbed Bronze but does not match it. It will co-ordinate but, again, does not match. Old World Bronze is not a living finish. Oil Rubbed Bronze is a living finish and will patina whereas the Old World will stay the same. Old World Bronze also has some random softly rubbed places on it where a light golden color will show through the darker brown/black finish giving it a worn or "old world" appearance. 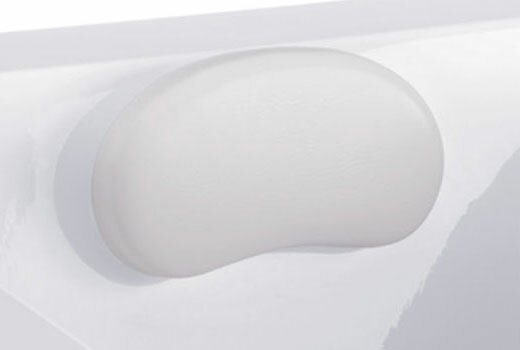 Step Four: Optional Comfort Pillow or "No Pillow"
Our Free Delivery with Liftgate Service means the freight company will bring your tub to your curbside and lower it down to the street, at your curbside, at no additional cost to you. This service requires the buyer to be present during delivery to inspect and sign for the delivery. The freight company will leave your tub curbside, in the wood crate. It is the buyers responsibility to arrange to have help there to move the bathtub from your curbside to wherever you intend to install/store it. The freight company will contact you at least 24 hours in advance to arrange for a delivery time. 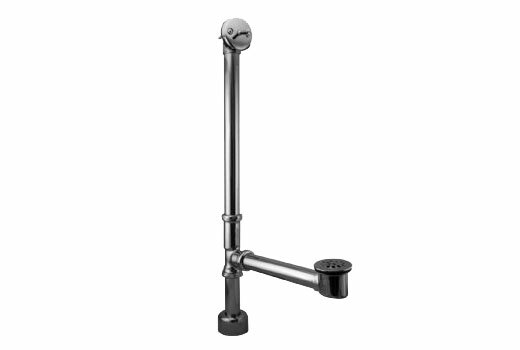 Dimensions: 66" x 38" x 26"
Faucet Requirements: : Wall-mount faucet or Freestanding faucet and supply-lines. Be sure to check height to clear side of tub and also, as always, please refer to your local building code requirements.